Walter Lantz created the famed bird, and in the shows early days, the animator would host from his office, demonstrating how cartoons were made by showing the viewers at home such essentials as painting cels and drawing storyboards. 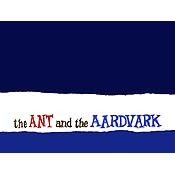 Woody Woodpecker, an obnoxious mischief-maker, would usually star in the shorts, occasionally taking a backseat to his friends Andy Panda, Wally Walrus, Gabby Gator, Buzzy Buzzard, Oswald the Rabbit, and Arctic penguin Chilly Willy. As Lantz used to tell the story of Woody Woodpecker, he and his wife were on their honeymoon at a lakeside cottage when Woody first pecked his way into their lives. 'We kept hearing this knock, knock, knock on the roof,' Lantz told The Los Angeles Times in 1992. 'So I went out and looked, and here's this woodpecker drilling holes in the shingles.' Lantz's wife, Gracie, suggested adapting the bird as a cartoon character and Lantz wisely took his bride's advice. Chilly Willy the penguin is one of the Walter Lantz studio's most recognized and beloved stars, and seemed to flourish in the late 50s, a period when most people feel the Lantz cartoons were in decline. 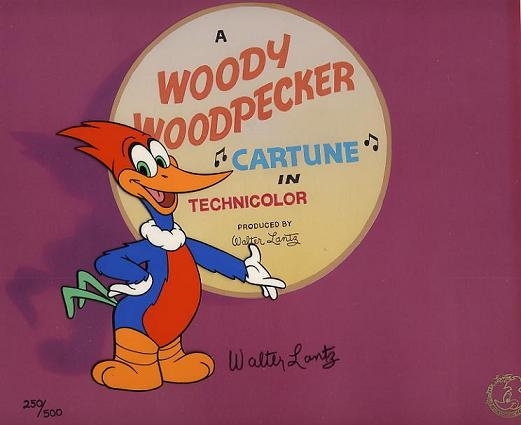 In 1949, Walter Lantz retired his second biggest star, Andy Panda, leaving only one major character to star in his new cartoons: Woody Woodpecker. 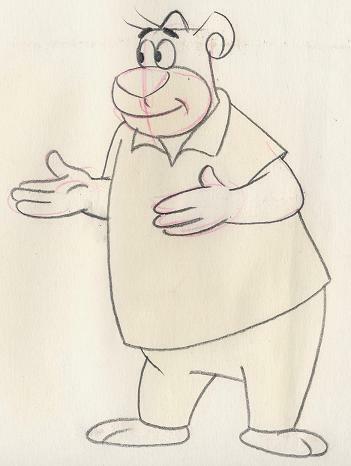 In 1953, Lantz wanted a new character, and one of his directors, Paul Smith, began work on a cartoon entitled Chilly Willy. 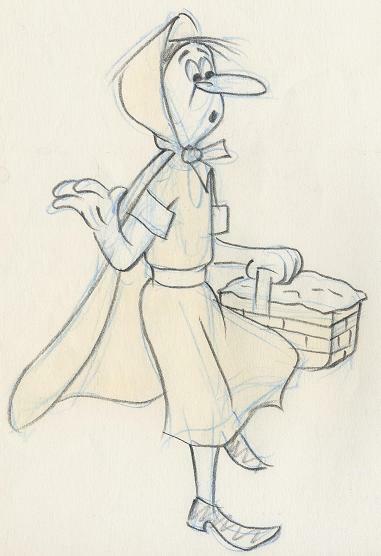 This cartoon features a little penguin, more similar in design to the ones found in 1945's Sliphorn King of Polaroo than the Chilly Willy we think of today, voiced by Sara Berner. This cartoon set up the general formula of Chilly wanting to find warmth that most future Chilly Willy cartoons would adhere to, and it introduced an early version of the familiar Chilly Willy theme song. Unfortunately, Chilly Willy was not a huge success, but Walter Lantz was set on having a penguin character, and when Tex Avery returned to the studio in 1954, Lantz asked him to make another attempt at getting the character to work. Avery didn't feel a "little fuzzy wuzzy penguin" would be particularly funny, so he decided to pair Chilly Willy with funny co-stars. The first of these cartoons, I'm Cold (re-titled Some Like It Not by Castle Films) introduces Smedley the dog, Chilly's long time co-star. 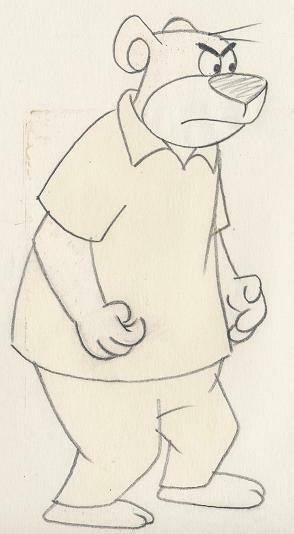 Smedley's most distinct characteristics were his voice and deadpan personality, which had previously been used by Tex Avery for a southern wolf character in a few of his MGM Droopy cartoons. 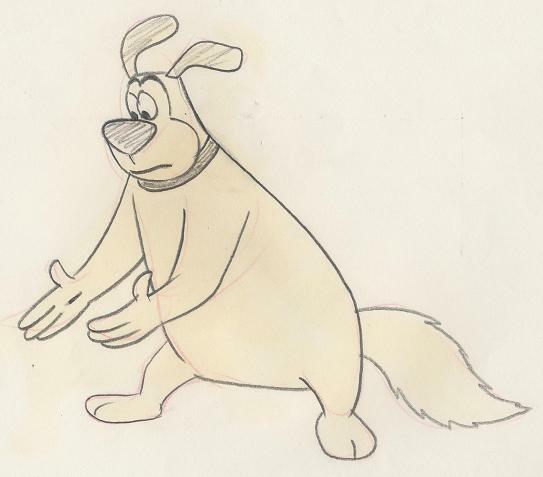 The voice came from Daws Butler, and a similar voice would later be used for Hanna-Barbera's Huckleberry Hound as well. I'm Cold was a success with audiences, and it was soon followed by another cartoon called The Legend of Rockabye Point (re-titled The Rock-a-Bye Legend by Castle Films). This cartoon featured Chilly Willy and a polar bear (who is NOT Smedley) attempting to steal fish from a ship. Avery's second Chilly cartoon was nominated for Academy Award, and this pretty much ensured Chilly Willy's place as a star. 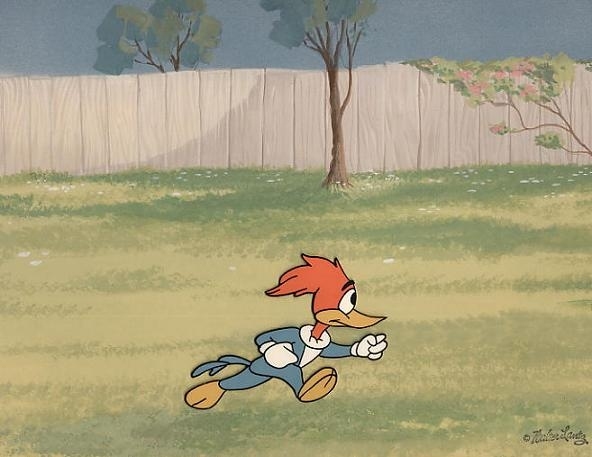 #WL3 - 'Woody Woodpecker', Key-Master Background (1972). #WL2 - 'Woody Woodpecker', From 1991 Academy Awards (1991). 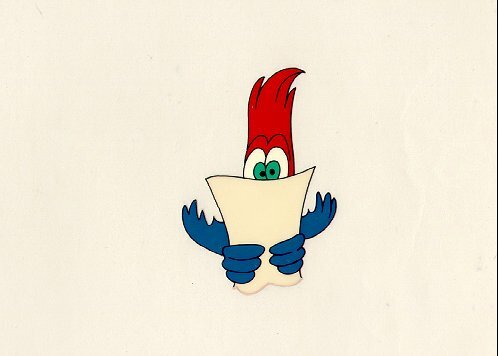 Price: $350 #WL2 - Walter Lantz - 'Woody Woodpecker', 1991. The painted image area measures 2.00 X 2.75', bearing production number W81. WOODY FROM THE 1991 ACADEMY AWARDS...In 1991 at the 63rd Annual Academy Awards, Woody Woodpecker was the presenter for the Oscar for best Animated Short. This production cel is from the sequence where Woody reads the list of Nominees. 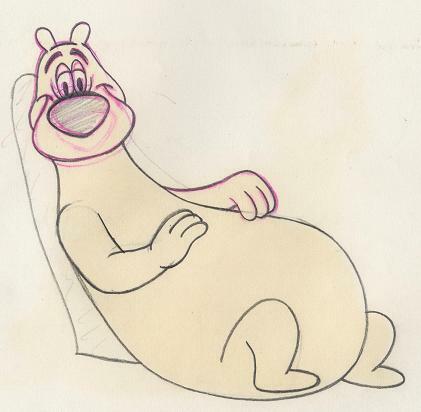 Price: $250 #WL8 - Walter Lantz - 'Charlie Beary', 1950's. This full sheet original woody woodpecker drawing is rendered in graphite pencil. The image area measures 2.75' X 5.75' - bearing number 121. Purchased from the Lantz family estate. 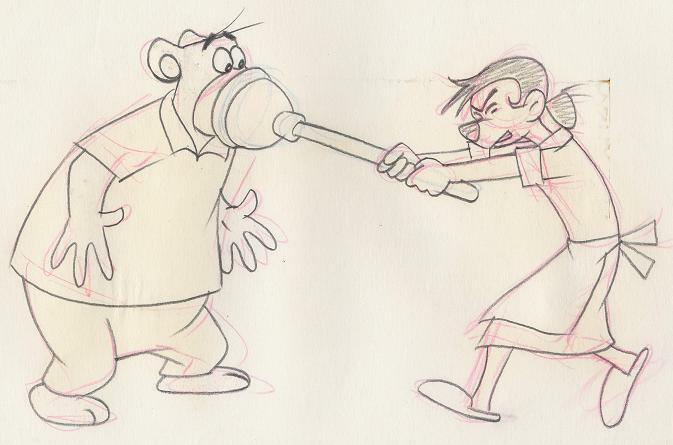 Price: $250 #WL10 - Walter Lantz - 'Charlie Beary' and 'Bessie Beary', 1950's. This full sheet original woody woodpecker drawing is rendered in red and graphite pencil. The image area measures 7.00' X 4.50' - bearing number C35 with graphite animator notes. Purchased from the Lantz family estate. #WL21 - 'Charlie Beary', (1950's). (From Lantz family estate. 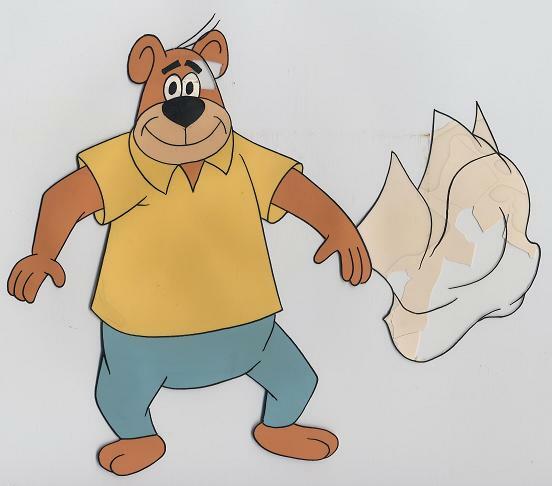 Price: $175 #WL21 - Walter Lantz - 'Charlie Beary', 1950's. This full sheet original woody woodpecker drawing is rendered in red and graphite pencil. The image area measures 3.25' X 4.75' - numbered B53. Purchased from the Lantz family estate. #WL22 - 'Charlie Bear', (1950's). (From the Lantz family estate). Price: $200 #WL22 - Walter Lantz - 'Charlie Bear', 1950's. This full sheet cel is hand painted - image measuring 4.75' X 5.75' - bearing number 7. Purchased from the Lantz family estate. Some paint chipping. #WL11 - Chilly Willy 'Maxie the Polar Bear' (who is NOT Smedley), (1950's). (From Lantz family estate). Price: $200 #WL11 - Tex Avery- Chilly Willy and his friend Maxie the Polar Bear (who is NOT Smedley), 1950's. This full sheet original woody woodpecker drawing is rendered in red, yellow and graphite pencil. The image area measures 4.00' X 3.50' - bearing number C-3. Purchased from the Lantz family estate. #WL20 - Cilly Willy's - 'Smedley', (1950's). (From Lantz family estate). Price: $175 #WL20 - Walter Lantz - Tex Avery - Cilly Willy's 'Smedley', 1950's. This full sheet original woody woodpecker drawing is rendered in yellow and graphite pencil. The image area measures 5.50' X 4.50' - bearing number B7. Purchased from the Lantz family estate. #WL23 - Mrs. Meanie, (1950's). (From Lantz family estate). Price: $175 #WL23 - Walter Lantz - Mrs. Meanie, 1950's. This full sheet original woody woodpecker drawing is rendered in blue and graphite pencil. The image area measures 3.00' X 6.00' - bearing number D11. Purchased from the Lantz family estate.